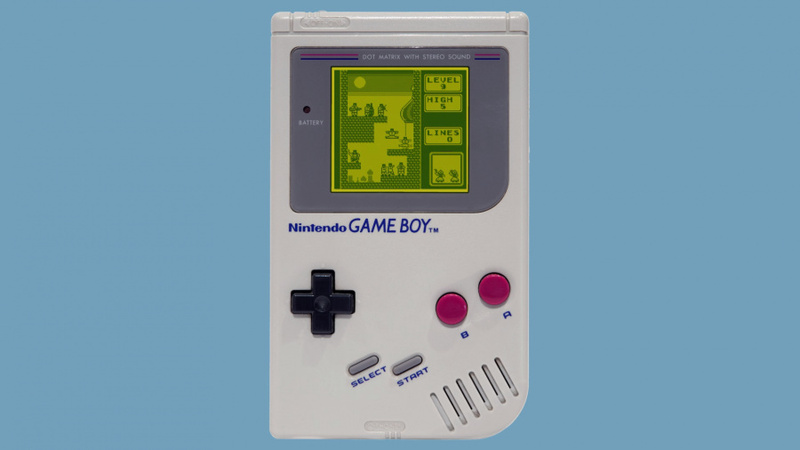 The Nintendo Game Boy is without a doubt one of the most iconic gaming systems of all time, having shifted millions of units and turned countless individuals into Tetris addicts and prolific portable players. However, the console itself was actually seen as something of a weakling, even by the standards of the late '80s. This was of course intentional - the machine adhered to the creator Gunpei Yokoi's "Lateral Thinking of Withered Technology", where cheap, existing tech was used in new and exciting ways. He'd already mastered this approach with the popular Game & Watch series at the start of the 1980s, and the Game Boy was the next logical step - yet it was vastly underpowered when compared to the likes of the Atari Lynx and Sega Game Gear, both of which sported backlit, full colour screens. Beating inside the Game Boy was a CPU which by 1989 had already enjoyed a pretty colourful past. The 8-bit Zilog Z80 launched in 1976 and was to be found in a wide range of computers and consoles - it's still in use today in advanced pocket calculators. While the Z80 variant inside the Game Boy was unquestionably a limiting factor when it came to gaming, it was cheap to produce - allowing Nintendo to undercut its rivals on cost and ensure that the console had impressive battery life. If you're itching to learn more about the silicon which beats at the heart of Nintendo's prestigious portable, then you should watch this video, put together by the talented guys over at JackTech. Just make sure you have a hot drink handy and a spare 12 minutes. I remember when I got the Game Boy when I was twelve in 1992. Up until that point, except a brief time with Atari, my gaming was solely on PC. And yes, it looked like 13 generations behind when I first launched the GB.. But at the same time there was magic there.... I remember writing all these passwords down, in BurgerTime or first playing Super Mario Land. I was lucky because I had this huge multicart The first time you play 1vs1 in Tetris with that cable link or some of the other games that let you do it... it was brilliant. I'm just completely taken aback that Roller Coaster Tycoon was written in assembly. Nintendo is the master of getting great gaming experiences out of underpowered hardware. Wow, that was an incredibly interesting video! As someone who's studying computing, it was great to understand how the innards of the Game Boy works - especially by comparing it with Python! Neat video but really it's more general computer science than the the GB. They still teach assembly in school today, I had to take an entire semester on it. Our final project was simply to add two fractions together, it took a whole lot of code. I had to learn the internal workings of a computer, binary math(i still use this lot in programming) assembly, operating systems and then actually learn how to write code in a high level language too, lol. BTW if you think assembly looks "fun" you should see what it's like debugging it. I miss these days when hardware was easily hackable and everything was just there and easy to spot. That was a pretty awesome video. Congratulations to the creators for not just making it entertaining but also for managing to explain something that can do easily go over most people's heads whom don't have any knowledge in computer programming. Nintendo made some killer profits. Battery life was a big plus point, the games were addictive and fun. Game Gear could eat through 6 AA batteries in two hours. Great system aswell but not really portable! Ah the greatness of the Game Boy line. Too bad nowadays Nintendo has almost seemingly abandoned Yokoi's design philosophy. They still use ultra old, weak, and cheap internals, but they sacrificed battery life and cheap, affordable price for shoddy gimmicks enjoyed by a very small percentage of owners and relatively rushed design. Since Sony is bowing out of the race after Vita, hopefully Nintendo can make a new Game Boy in addition to a new DS. The new DS can be as gimmicky and expensive as they want, but the Game Boy should be cheaper and offer a more traditional gaming experience on portable, with all the modern, USEFUL additions that handheld gaming has enjoyed since the GBA's death like 4 face buttons, 4 shoulder buttons, dual analog input of some kind, capacitive touchscreen, and motion sensors. Maybe a camera. Or heck, offer both handhelds for the same price. The NXDS would likely be as powerful as the GPD XD or NVIDIA Shield Portable (...actually likely weaker than both of these.....), continuing on their usual of using very old technology. Then they can put on 3D , continue using the second screen (the best gaming innovation Nintendo has had this past decade.PERIOD. ), use every input they introduced with 3DS and New 3DS and finally shoe-horn in some kind of new over-hy- I mean "EXCITING" gimmick that'll drive up the cost much higher than it should've been. Then the NXGB could go for the same price, but instead of some kind of expensive gimmick they could put in more modern and powerful hardware instead along with the more standard additions to handheld gaming that both the 3DS and Vita introduced like dual-analog sticks (Vita, then 3DS), motion controls (3DS then Vita), cameras (DSi and PSP), capacitive touchscreen (Vita), and finally 4 shoulder buttons (New 3DS). Putting L3 and R3 would be nice, too. Of course power was never a priority for the Game Boy line, but I like to think the GBA at least was pretty beefy for a handheld at its time. More powerful handheld devices popped up a couple years after it, but there weren't a massive step up when you looked at the games. Ninty wouldn't even have to use the newest and most powerful hardware for the NXGB either. If they can make something that's at least on par with last year's $200 Shield TV and release it in late 2016 or in 2017, they'll be fine since that level of hardware would still be pretty powerful for handheld game developers and should be cheaper to produce (I imagine). I've been preaching this lately. It's amazing to think about what these developers did with such limited hardware. They built some of the best games in the 90s on a glorified calculator CPU. I've always advocated that some of the best development practice is to create limitations for yourself. It breeds creative thinking. Not only was it cheap to make, but it was also BRUTALLY durable!! History says there's one that survived a NUCLEAR BLAST!!! That ALONE makes it worth the money!! Pretty sure it was just a normal bomb blast. The electromagnetic pulse generated by a nuclear explosion would no doubt completely fry the electronics inside the Game Boy even if it somehow defied logic and survived the extreme heat and force of the bomb. @AVahne it was a normal bomb, I think nuke testing ended before the GB was even made. It was during the first Iraq war in the 90's. One of the soldiers had one with him and I think it was the barracks that got hit. The GB is in the nintendo store I think, it's basically burned all over and has tetris in it but it still plays the game. @Mario-Man-Child consoles in general are always way behind PC's and throughout history the successful consoles you know(nes, master system, genesis, snes) were beaten by other consoles on hte market, you've just never heard of them. It should also be noted in gen 5 and 6 nintendo had the most powerful console(or second most in the case of the GC, original xbox beat it barely) of the known ones. @Mario-Man-Child it was more powerful than the genesis sure, but there were other consoles that gen, pretty sure a few were more powerful, it's just no one's ever heard of that. People have always begged for more power and that's what's marketed. Don't forget the bit-wars. Sadly most nintendo fans seem to be begging or nothing more than more power as though that will solve everything and the more people realize that power isn't the problem the better. Hmm... I am pretty sure the Xbox was more powerful than the GameCube. I have the PS2, GameCube and the Xbox. And while the GameCube was more powerful than the PS2, and had some really impressive first party titles, I think all the multiplatform games where all way superior on the Xbox. Underpowered doesn't mean boring. Something they've continued to today, and is still true today. Even if consumers and gamers refuse to acknowledge it sometimes. Xbox has been the most powerful unit since it's launch, that said, it means the most power given to the unit. That doesn't mean it utilizes it in every game, or that every game is more fun and superior than other systems, it just goes to say Microsoft put in the most powerful and advanced things at the minute in comparison to the other competitors. The N64, GameCube, Wii and WiiU are all the weaklings in terms of oomph (out of desireable systems, we could talk Ouya or 3DO), but there was and is absolutely no lack of excitement, fun and sales to keep any of these systems away, despite some belief. The GCN lasted despite doomed rumors and the WiiU is going still despite doomed rumors. The DS was insignificant in power compared to the PSP and look who triumphed in that battle, and the 3DS is superior to the Vita basically in every way except hardware. There's a full library, good graphics, and the highest sales of any gaming system this gen. Power is meaningless if there's a library of games, which is clearly why the GB and other underpowered systems will still succeed. @Dankykong the n64 was more powerful than it's comptition(saturn and ps1), GC was more powerful than the DC and ps2, and was almost as powerful as the xbox. Awesome video, i'm still a bit confused by the content (it's a lot to FULLY understand) but i feel like i learnt a lot about computers, especially some stuff i always wanted to understand. @Mario-Man-Child The basic point I was making was that snes did great despite other consoles most people have never heard of being more power. In other words it further makes the point nintendo doesn't need power. You're not wrong when you say it's games but this really isn't the topic for discussing it anyway. @Kevlar44 Well the video is essentially a crash course in computer science so it's not surprising you don't understand everything. It's about a year's worth of computer engineering course in college compressed to a few minutes. So that's why T1-84 calculators can be hacked to play gameboy! They both use a zilog! This was a very interesting video. I'm hardly versed in programming languages but can appreciate the effort it takes to learn one and use it. I also knew about Assembly being much harder to work with but only now truly understand what that meant. LOLOLOL, I was actually making a gb emu right before I decided to go on NL and see if anything interesting had happened. Granted I know most, if not all of everything said in the video. Still neat though. No way in hell the Game Boy has 30 hours of battery life. @Yorumi What school do you go to? Nowadays there's, for better or worse, not that much need for asm, especially writing entire programs in them seeing as most C (and I'm assuming C++) compilers allow inline assembly. Haven't even heard of a university teaching asm for a long time unless it's for something specialized. @Yorumi the N64 may have been more powerful, but damn those muddy graphics look nowhere near as nice as what the PS1 was capable of. @Monado_III well i've been out of school for about 6 years now but I went to USF in florida. They taught assembly and made us write programs in it because it's useful to know what's actually going on. They wanted to make sure we really understood what was happening inside a computer rather than just being able to make programs work. They even had it so we couldn't use languages like java or c# specifically because they had so much already built in their libraries. The funny thing is they even talked about a problem a lot of companies are facing which is programming schools teaching with c# or java and programmers getting out who can write java programs but don't really know how a computer works. Which ends up causing problems when they start needing to consider efficiency, or even during debugging. My degree is in computer science from the USF school of engineering. @LemonSlice the ps1 was doing a lot more 2d rendering, often times backgrounds were just an image and not actual 3d rendered whereas the n64 was doing full 3d rendering all time. Even then though compare some of rare or nintendo's work on the n64 to even beauties like FF9 or chrono cross and you can tell the n64 is doing a heck of a lot more. @Yorumi While a lot of it's best looking games do use prerendered backgrounds (which the N64 cartridges didn't have space for), even in games or scenes within games that are full 3D, the PS1 games look superior. The filtering that the N64 had only made things look worse, while the grainy look of the PS1 actually allowed more detail to be seen, and made sure that pixel artists were still very valuable (most of the time textures were painted pixel by pixel) and could focus on the art, while texturing on the N64 was mostly about working around memory problems. @LemonSlice But PS1 had that janky integer math for all the 3D space that made everything wiggle and jiggle for no reason. Not picking on you in particular but I find all the old arguments propping themselves up against each other here to be so pointless in the face of what we have as experiences playing and enjoying the games. Do you really care about which one was slightly better than the other at this point? It mattered much more then now it's all just old tech and memories. If you go back to play those games you go back for the play. At least that's the way I look at it. Assembly and all that good low-level stuff is currently making a wave through the education system again for just the reasons @Yorumi mentioned. We keep finding new reasons to push efficiency and wouldn't you know it, we still need people to make advances in compiling technologies for those high level languages to get to machine code. It's amazing how much progress is still being made in that space. @aaronsullivan even beyond making compilers a lot of programmers just don't know anything beyond the library tools in some languages. I've been writing a game server in c#(if i had my way it would be in c++ but that's another story) and so I've had to look up references for a lot of things and efficient methods of doing things. The answers you find online to similar questions are at times infuriating because they just know so little. I've actually seen people recommend using tryparse in loops. NOOOO, that is horrifically inefficient. So even if a person never needs to use assembly ever in their lives it's still good to know the basics of it so you get a better understanding of the insides of a computer and what your compiler is actually doing to the code. How fun is it writing a game server? I get rare opportunities to work on my own game projects and I teach programming for a living but I haven't done much in the way of server code and networking. Agreed about assembly. Even when it's not required I like to push students to understand what's happening closer to the metal. @aaronsullivan @Yorumi I know it's still needed in some cases (compilers, drivers), just I never have heard of it actually being taught in regular CS courses since the rise and dominance of Java, C, C++ and web technologies. I eventually want to learn on x86_64 ASM programming, but I'm already pretty familiar with the concepts. I'm only 14 so I still have lots of time to learn. @Mario-Man-Child To be honest, the SNES/Genesis debate is actually a quite interesting case. Why? Mega Drive/Genesis could do things faster, however SNES could do more colorful/complex things. This is the main difference. Genesis had a faster CPU, faster RAM bandwidth and fillrate (I guess that was this whole "blast processing" thing? ), but at a cost - it only featured 64 KB of VRAM, while SNES had a double value of 128KB - it was a tad slower, but enabled to display much more colors (and a handful of other effects) on the screen. However, one of the main Genesis advantages, at least from the developer's point of view, was the choice of the legendary MC68000 as the main CPU - not only it features a delightful and relatively easy Assembler, it was also present in several popular 16-bit computers at the time, mainly the Atari ST and Amiga 500. And the extra CPU speed could be used for some nifty effects, like 3D polygons, without the need of using any extra chips (just like they handled the special effects in Amiga games, even on the OCS chipset). However - yes, when it comes down to pure horsepower and juice, the SNES, thanks to the extra FX chips, could produce more complex things. Don't get me wrong, though - I like both consoles equally. @Shiryu I know right a bit like a car: you open the hood, and it's all there. That's how it should be. Love the gaming historical articles. Always a good read. Keep up the fine work Damo. @aaronsullivan it's definitely interesting. You think you have things nailed down pretty well and release a test version to the public and cry as the error log just grows and grows and grows. The multithreading gets special too because I can't put locks on everything or risk deadlocks and bottlenecks but at the same time certain things need locks. A lot of my errors are enumeration errors from dictionaries being modified by an outside thread. For those I actually made my own system of signaling so when a modification is coming to a dictionary any other thread that's doing work on it immediately drops it(because the iteration they're doing isn't important). That way I don't have lock every iteration and create bottlenecks but can also get out of it before it throws the error. And of course efficiency is a concern, I've got to get messages turned around and beck to the client quickly so they don't notice a delay. That makes combat especially fun to optimize. It's definitely been learning experience, though you never really stop learning, school is just the beginning. Wow, what an interesting video! Can't wait for the next one. @AlexOlney Yeah that came as a shock to me too! I didn't know RC Tycoon was written in Assembly, not to mention that I didn't know that every Gameboy game was written directly in Assembly. @Yorumi That's some all-encompassing work right there. In general I like to live in the higher-level stuff and design and be creative there, but on occaision, when I have opportunity, I love to take a deep dive into something specific and low-level. Nothing came of it, but the last time I did this was diving into minecraft-style procedurally generated worlds and all the fun lighting and efficiency issues that come with it. There's nothing like iterating through a complex problem and internalizing it all at once until it starts doing what you want. That paragraph describing your solution is like a black hole I just can't get sucked into right now. I shall stop reading it. lol. @aaronsullivan I actually like large projects and getting real down and dirty with the computer. I enjoy class design, and finding ways to keep functions small and readable(doesn't always happen). So a project like this game server has been fun for me, though it's gone on long enough now that I want to move on to something else. At least it's almost done. @Waninoko yes, it's very interesting to compare the Genesis and SNES. There are several small details of each system's design that make a direct comparison of the hardware difficult. For example, the SNES has the odd sprite restriction of only being able to display two sizes at a time, likely forcing developers to use larger sprites than necessary and taking up more space on the cart, which was quite limited at the time. It's interesting to look back and see how such small design changes might have made big differences. @LemonSlice Disagree. Yes the N64 has examples of muddy graphics as much as the PS1 had ones that were so highly pixellated that you could barely work out what was on screen. Now find me a 3D polygonal game with graphics, textures and clarity that comes anywhere near to Rare's, Factor 5, Iguana, Ubisoft, even EA's finest. Oh you can't. Why? Because the N64 was the 3D powerhouse of its era, processing world's many times more complex than the 32bit competition putting you into the action. Now yes the PS1 had pretty pre rendered games, FMV sequences etc, CD Sound. But it's all personal taste. To be honest you need to own both an N64 and PS1 if you are serious about that gen.
You've fallen for the greatest misinformation campaign waged by PS1 fanboys in history. @liveswired I'm not talking about prerendered backgrounds and sprites or FMV cutscenes, I'm talking about the polygonal 3D graphics and how much they rocked on the PS1, and how important they were in preserving the skill of pixel art into the 3D era. Even the PS2 made careful pixel by pixel texturing very worthwhile.